Solution Saddles Customer Stories: August 2014 Solution of the Month – The best purchase I have made for my horse. August 2014 Solution of the Month – The best purchase I have made for my horse. 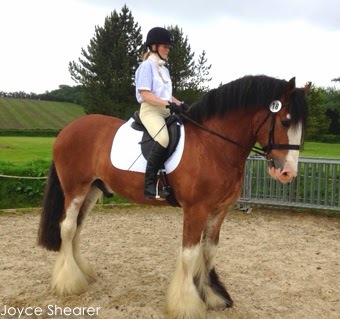 "This is my Clydesdale Dougal in his SMART GP saddle. 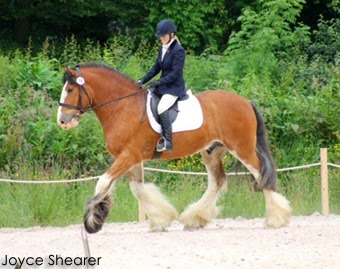 He has just started dressage and has been placed at his first 3 shows, including a fifth, a second and two firsts. I believe that the comfort and freedom of movement his SMART GP saddle allows goes a long way to enabling such a large horse achieve these results. As a rider of 40 years I can say without a doubt that this was money well spent. Thank you again to Solution Saddles.